News, Rumors on Nikon DSLR, Mirrorless, Compact Cameras, NIKKOR Lenses. Nikon Confirmed Cheap non-S Mirrorless Z-mount Lenses will be Announced at a Later Date ! There are already rumors previous that Nikon will release cheap Z-mount lenses in the future. 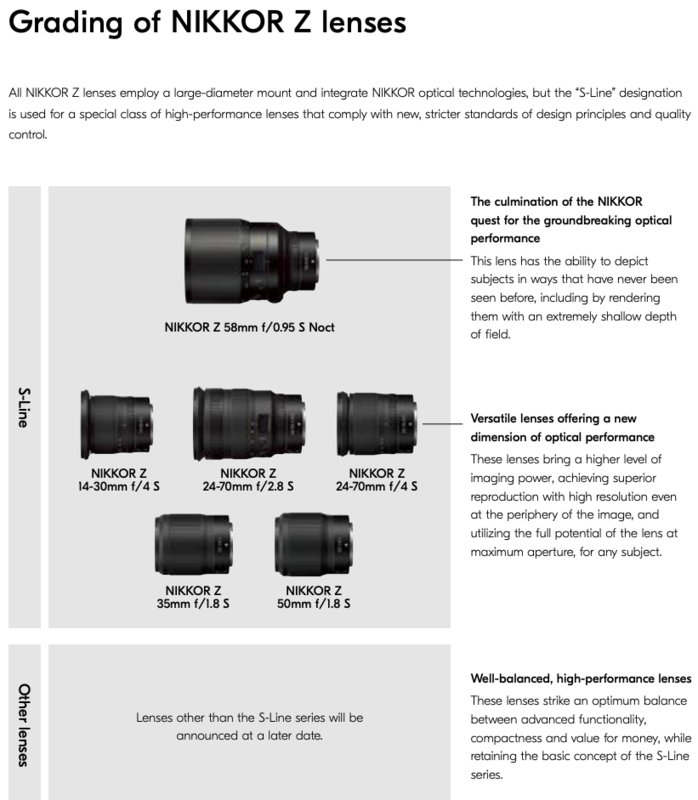 Now Nikon confirmed in their Nikkor Z brochure that Nikon will also release cheap non-S Z-mount lenses at a later date. Lenses other than the S-Line series will be announced at a later date. These lenses strike an optimum balance between advanced functionality, compactness and value for money, while retaining the basic concept of the S-Line series. Maybe new cheap Z-mount lenses will coming along with upcoming Nikon Z5 or Z1 cheap full frame mirrorless cameras. Stay tuned. please nikon, open your z-mount to other companies!!!!!! in a shrinking and extreme competitive market for full frame photography that is more important than ever!!!! Translation: Zeiss Batis is causing some Nikon shooters to switch to Sony. Zeiss Otus 100mm f/1.4 ZF.2 Lens Announced ! Nikon D500 Firmware Version 1.20 Now Released !